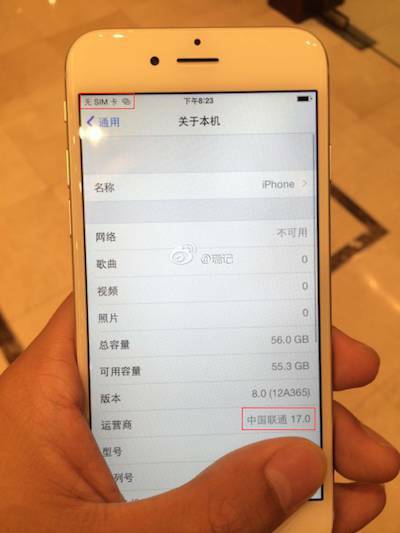 A video and photos have appeared on Chinese websites purporting to be "real" shots of the iPhone 6 – just days ahead of Apple's latest iStuff showcase on September 9. Vulture Weekend notes that this is potentially pure tittle tattle and understands only too well that on the internet nobody knows you're a dog. Yada yada ... But, two separate leaks from the People's Republic at very least attempt to tease fanbois into thinking that the iPhone is indeed about to go large as a 4.7-inch slab. There is also a hint that Apple's Passbook app could play a key role in its speculated mobile payments system. If the images are accurate, then they show that the Passbook app has been revamped on what is supposedly iOS 8 running on the smartphone. As Apple Insider rightly points out, the photos that appeared on cnBeta.com seem to be faked given that, for example, the leaky person's thumb covers important information in one of the photos. That thick digit conveniently conceals the model and serial numbers of the purported iPhone 6. Separately, a video posted on MiaoPai yesterday claimed to show a person waving around an iPhone 6, and flicking through a number of apps and settings on the alleged device.